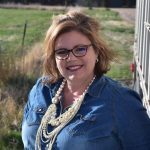 The organizers of the Range Rights and Resource Symposium are hoping that education and engaging rural and urban people in conversations about food, water, and energy will dispel myths and increase an appreciation for these essentials. The fourth annual event is hosted in a different state each year and will be in Windsor, Colo., on April 11 and 12. Bryson Miller, one of the symposium's organizers, said bringing people together on both sides of these issues is increasingly important, especially in Colorado's current political climate. To that end, past Colorado Commissioner of Agriculture Don Brown will speak about the effects of policies, Sarah Carlisle, senior external affairs adviser for Tri State Energy will discuss whether renewable energy is affordable, Kathleen Sgamma from Western Energy Alliance will speak to oil and natural gas and people's hate for these essential fuels, John Duarte will speak about the farm bills damaging effect on producers and consumers. Emcee Trent Loos, a fifth generation Nebraska rancher and radio host, said he hopes bringing consumers and producers together will foster a greater understanding and prevent taking for granted where the essentials of life come from. "We've had a real up close and personal reminder here that you can make it through drought and how serious it is to not have enough water, then you get too much water, you have a problem," he said. "It's about empowering people to have a better appreciation and understanding and to be an advocate for the essentials of life, where it came from, and to celebrate what we've accomplished." Brown will also speak about farmer suicides, a problem he said has surpassed the number of veteran suicides daily. "The mental challenges are the untold story still of rural America," he said. "I saw that today. The tide kind of turned here today. I had people calling me who are physically tired, mentally tired, and financially broke. And that's not new, that's not tied to Nebraska flooding 2019, it's been building over a period of time." Loos also said ranchers will benefit from John Bolin's talk on the importance of a relationship with the county sheriff. Bolin is a former law enforcement officer, under cover organized crime investigator, and U.S. Marshall Fugitive Task Force officer and said livestock producers need a relationship with the sheriff's office. The two-day event also features speakers about water quality, wildfires and the environment, grazing, water rights, the Equal Access to Justice Act, reaching out to mothers, hunger, building Latino communities and agriculture health and safety, and a dinner featuring Colorado-produced food and beverage.